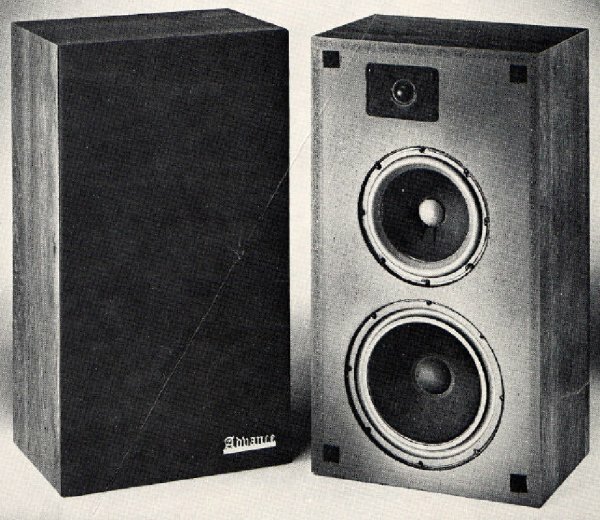 "Advance Speaker Korp" operated out of Hampton N.H., probably in the early 1980's. I have seen or heard of several examples of these. The information and photographs here are from original brochures. They closely resemble the Genesis 20. 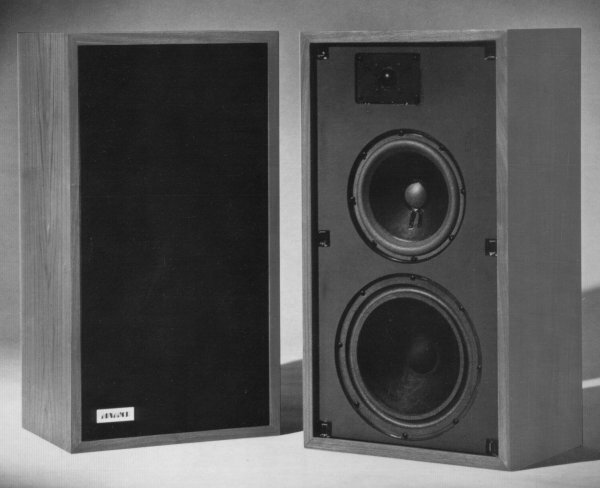 The A-II used an 8" woofer and 10" passive radiator, for which I build exact replacements. The tweeter was a fairly standard soft dome imported from Europe. 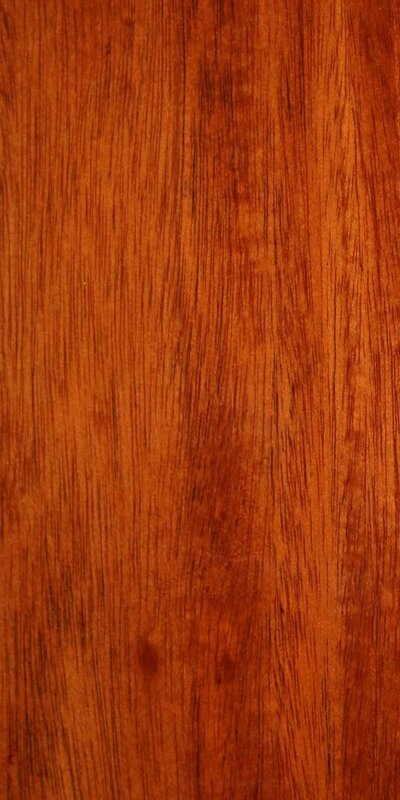 This is the "A". 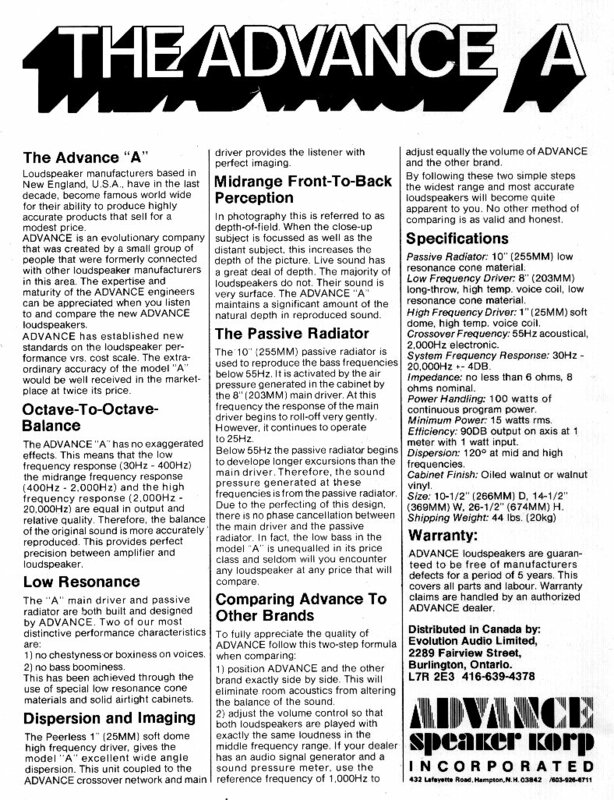 The "A-II" is shown below, along with the "A" brochure text. Impedance 8 ohms nominal, 6 ohms min.